It is a stamping business at Takanobashi Shopping Street which began in October 1992. 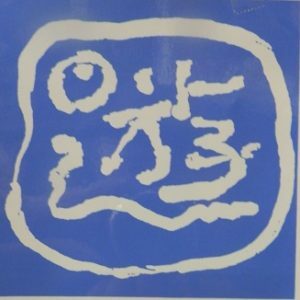 From October 1, 1992, we began issuing Takanobashi YU stamps at each member store. When the mount becomes full, it is available for 500 yen. You can also deposit money in the passbook in 3 lines. We also hold an exchange party. Takanobashi Yu stampIt is a stamping business at Takano bashi Shopping Street which began in October 1992.Prior to the launch, Koshotsu’s unique sealsho and a member under the arcade were issued and it was enforcing those eventsFrom October 1, 1992, we began issuing Takagawa novel stamps at each member store.As a general rule 100 yen per purchase One sheetWhen the mount becomes full, it is available for 500 yen.Neighboring financial institutions Hiroshima Bank, Hiroshima Shinkin Bank, Hiroshima City credit unionYou can also deposit money in the passbook in 3 lines.As several times a year eventHolding a lottery that will result in a prize of 1 million yen from the prize from 10,000 yen to the end of 600 yenOne full-size mount 500 yen will replace the doubled 1000 yen cash voucherWe also hold an exchange party.